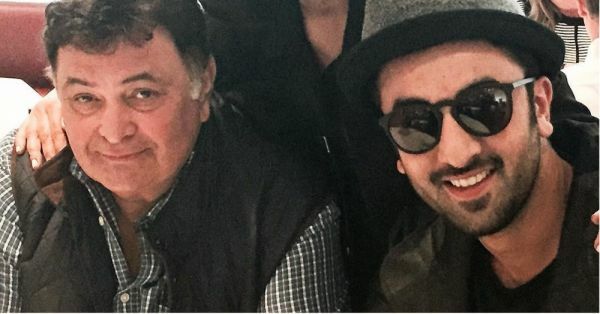 Actor Rishi Kapoor recently shared a tweet stating that he is taking some time off to visit America for medical attention. This explains why he, his wife Neetu Kapoor and son Ranbir Kapoor were missing from his mother, Krishna Raj Kapoor's last rites in Mumbai. Rumours about the actor being diagnosed with stage third-stage cancer have been making rounds, but brother Randhir Kapoor has brushed them aside. “Depending on what the results are, his line of treatment, the medication and other modalities will be decided upon,” he added. The Kapoor family recently suffered the loss of their beloved family member, Krishna Raj Kapoor, late Raj Kapoor's wife and the mother of Randhir, Rishi, Ritu, Reema, and Ranjiv Kapoor. Although Rishi Kapoor's immediate family, Neetu, and son Ranbir couldn't attend the funeral held at Chembur, his daughter Riddhima Kapoor was present. Alia Bhatt, the actress reportedly dating Ranbir Kapoor, was present at the funeral alongside some prominent faces, including Karan Johar, Amitabh Bachchan, Aamir Khan, Sonam Kapoor and Salman Khan. She was also spotted Facetiming Ranbir Kapoor, so the actor didn't feel disconnected from his family. It was a touching gesture indeed.